Before Starks were fighting Lannisters, the civil wars between the Yorks and the Lancasters were ripping England apart in the 15th century. It does not take a scholar to see the similarities between something as small as their names. It is not exactly a well kept secret that Game of Thrones author George R.R. Martin drew many of his characters and events as inspiration from this tumultuous event in history. Of course, there were no dragons or ice wraiths present in 15th century England, but the books and television series share many other events and people from this period. In studying this event in history, you may even be able to deduce the winner of the War of the Five Kings. 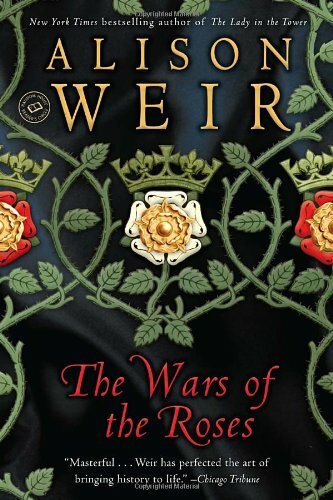 In its essence, the War of Roses was period of civil wars between 1455 and 1485 where two branches of the Plantagenet House, York and Lancaster, battled for control of the royal throne of England. The name of this war stems from the sigils of the two houses—the white rose of House York and the Red Rose of House Lancaster. These colors are shared by the white direwolf of House Stark and the infamous Lannister red. 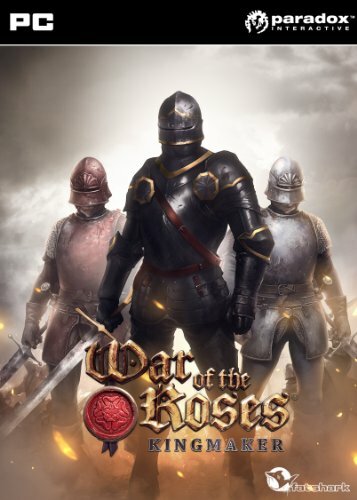 Before one can fully understand the War of Roses in relation to Game of Thrones, they must first know the basic premise of the events that transpired. Before 1455, when the war officially started, there had been skirmishes between House Lancaster and House York before and would continue after the war ended. The animosity between the two houses started when Henry of Bolingbroke, a Lancaster, assumed the throne in 1399 after deposing his cousin Richard II from the throne. He became crowned Henry IV. His reign continued through Henry V and Henry V's infant son Henry VI. The Lancaster claim to the throne came from John of Gaunt who was the third son of a previous king Edward III. However, when Richard of York challenged Henry VI's infant sons' claim, he stated that he was descendant from Edward III's second surviving son. This meant his claim was stronger than that of the Lancaster family, this of course led to quarrels between the two houses. While this claim to the throne led to several small fights, the war did not officially start until 1455 at the First Battle of St. Albans. In 1459, York was forced to flee the country, however his ally the Earl of Warwick invaded England and captured Henry VI. Richard of York returned and claimed himself Protector of England, but did not assume the throne. The Lancaster army, gathered their forces and recaptured Henry VI at the Second Battle of St. Albans, but where pushed back before they could reach London. While pushing back Lancaster forces at the Battle of Wakefield, Richard of York was slain. Richard's eldest son, Edward was appointed king and named Edward IV. This is where George R.R. Martin begins to draw inspiration for one of his characters. It is believe that the life of Edward IV is represented by two character—Robb Stark and Robert Baratheon. It is thought that this could be one of the reasons their names are similar, however many believe the much more likely reason that Robb was born while Eddard still fought for Robert seat on the throne, thus his name was meant to honor his future king. Robb Stark is represented by Edward IV in his youth. He was the eldest son of his family and was placed on the throne by them, to avenge his father's death and protect his family. Not unlike Robb Stark who marched to war as first to save his father, but them to avenge him and sit the throne in his country. Historically, like Robb Stark, Edward IV also married in secret to Elizabeth Woodville. Robert Baratheon is represented by Edward IV in his later years. In the later years of his reign, his family and his supporters grew aggressive for power. The pursued land, sway with the king, and marriage pacts that would make them prosper. Through this, they began to loath each other. In History, Edward IV crushed the Lancaster claim to the throne by killing Edward, the Prince of Wales who would be heir to the Lancaster family and murdering (or at least suspect of murdering) his prisoner Henry VI in the Tower of London. While a brief period of peace ensued, Edward IV unexpectedly died in 1483. This, like after Robert Baratheon's death, led for a mad rush to the throne. Among the competitors were his brothers Richard and Clarence, who draw parallels between Stannis and Renly. His brother Richard ousted Edward IV's adolescent heir Edward V from the throne and claimed it for himself naming him Richard III. Edward V and some of his brothers are today referred to as Princes of the Tower as they were sent to the Tower of London and slowly disappeared from public eye. Many assumed them to be dead at Richard III's own hand, however it has not been definitively proven and continues to be one of history's great mysteries. This can be paralleled to the supposed 'deaths' of Bran and Rickon Stark. Richard III's reign did not last long, however. In 1485, Henry Tudor who was a distant relative of previous Lancaster kings gathered his forces and defeated Richard III at Bosworth. He crowned himself Henry VII and married the daughter of Edward IV Elizabeth of York. This marriage united the houses and successfully put an end to the war, though skirmishes did continue for several years afterwards. Many fans who draw parallels between Game of Thrones and the War of Roses see Daenerys Targaryen as Henry VII. It is not hard to see why. He was a majorly minor player in the whole war and came utterly out of nowhere, or in this case, France. When Edward IV slew the Lancaster heirs to the throne, Henry Tudor hid for his life by exiling himself in France. Edward IV saw him as no threat, as he had no army. It was only after Richard III took the throne did supporters begin to question the Yorkist rule and flock to the Lancaster successor, Henry Tudor. If one were to draw parallels from this, it is suspected that in the end Daenerys will sit the Iron Throne before everything is all said and done. However, she has one thing working against her. Fans love her. We all know George R.R. Martin loves to kill everyone fans love.